Will someone find Goldilocks a pair of headphones please? I have had a hankering to see if I can find a better pair of headphones. Primarily, to use as a reference to evaluate source components and pre-amps, and also for personal use. I had purchased a Sennheiser HD497 several years ago, for about $50 USD and it has served me well so far. I just have been needing to scratch my itch to see if the performance can be improved, and if so, to what extent. I received additional three contenders for this review; they are the Sennheiser HD650, the Beyerdynamic DT990 and the Grado RS1. I will not bother repeating the specs and other details for these units, since you can pick that up from the links provided above. All tests were done using my Denon DV3910 with Level2 Underwood mods player fed into the Practical Devices XM3 headphone amp, which in turn drove the headphones in test. I feel compelled to disclose, that level matching between the various headphones was done by ear, I apologise for not being able to do any better. As always, the passages detailed below are the best illustrations of what I heard over many other tracks. Sennheiser HD650 vs Grado RS1 I first listened to a series of test tones in the lower bass region and felt that bass extension was useable down to about 32hz on both units. This track was used to test high frequency performance. To be quite frank the Grado did not do too well here. The high frequency response was a bit too bright, albeit detailed. Actually, I would say bright to the extent of almost painful. The Sennheiser, in contrast was very easy to listen to; yet did not have any loss of detail in the upper spectrum. This track was used to test mid-range frequency performance. The Sennheiser performed well, my findings were consistent with the first test. Additionally it seemed much richer and fuller in the mid-bass region. The Grado did not fail here, as it did in the first test; it sound more open, airy and forward in contrast. Based on this track alone I would call it a matter of personal preference. If I had to conjure a cheesy analogy; it would be that the Sennheiser is like curling up in front of a roaring fire, with a big warm blanket, a hot cup of cocoa and being lulled to sleep. 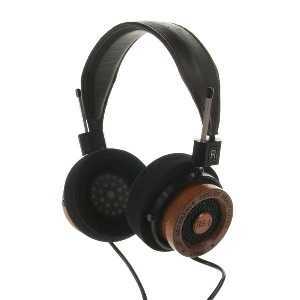 The Grado on the other hand, makes you get up and listen. I did not prefer one over the other and felt a bit like Goldilocks choosing between Mama Bear's and Papa Bear's headphones. I wished I could find Baby Bear's instead. This track was used to test the preformance of mid to low frequencies. Well, the tables were turned; and now I preferred the seemingly faster and more responsive Grado over the comparitively slow and plodding Sennheiser; especially on transients in the mid and low frequencies. It was quite a trip to listen to this track on headphones (No, I was not smoking or inhaling anything..atleast not at the time). For the first time ever, I could hear as if the performers were actually circling around my head, as is intended by the recording. With loudspeakers, I have come close but never so completely and convincingly there. Overall, the Grado was again just too painful to listen to, and again probably because the mix on this track was heavily skewed towards the higher frequencies. I will take a guess, and say that the Sennheiser engineers probably tried to build a pair of headphones that would be awed for their bass response. And they have somewhat suceeded but at a price; the lower frequencies at times are a bit "slow" and dark sounding. Ironically, in this region I prefer the Grado. I personally suspect the Grado might have a shelfed up response in the higher frequencies, and the Sennheiser in the lower ones. The Grado, I would guess was probably designed to be thought of as being detailed and revealing. But again, ironically I prefered the Sennheiser in the high frequency region. I summary I cannot bear to listen to the Grado on some passages, but by default I cannot declare the Sennheiser as the winner either. In this case I choose neither, not at this price point. For that kind of money I would expect Baby Bear's headphones...ones with a balanced response. Sennheiser HD650 vs Beyerdynamic DT990 Both seemed about equal in terms of sesitivity and bass response seemed about flat to 40hz and then a sharper drop on the Beyerdynamic than the Sennheiser. This is one of my standard tracks to test mostly for high frequency performance. The Sennheiser definitely came out ahead here, with a more extended and detailed (without being etched) top range. 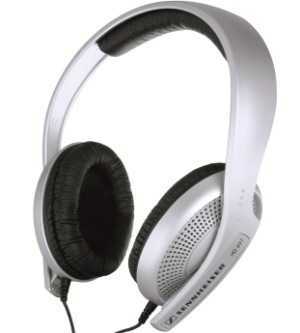 The Sennheiser also trumped with a fuller and richer presentation in the bass region. This track focuses on the mid to low bass region. I would have found nothing lacking in the Beyerdynamic if I had not listened to the Sennheiser in direct comparison. The Sennheiser definitely had more slam and impact in the lower frequencies. This track was used to evaluate the reproduction of male vocals. The Sennheiser won out again; with a fuller, richer and more detailed presentation of Mr Armstrong's raspy vocals. The Beyerdynamic seemed a bit more detailed in the treble at times, but on closer inspection I would have to say that it was due to a lighter balance in the lower registers. This is a common trick/phenomena in many audio products; if the output is not flat then the impression of more detail in the relatively emphasised regions is likely. But beware, that is often nothing more than an impression and in my books it is best to stay away from such products that will impress on some passages...because inevitably they will leave you wanting on others. This track focused my attention on female vocals; and these are delicious vocals by a delicious artiste. As an aside, I have once before referred to Ms. Badu as "delicious" when writing for another publication, and the boorish editor struck out that reference (how I love writing for TNT, hooray for Lucio). This was the toughest track to pick out any differences on, but in the end it was evident that the Sennheiser gave her vocals a fuller and warmer tone (delicious AND warmed over...mmm). Sennheiser HD650 vs Sennheiser HD497 The response curve seemed to be about the same, even in the bass region. This track focuses on the mid to low bass region. There was a relative improvement with the HD650 delivering a deeper, richer and fuller bass response. Although the magnitude of improvement was very small indeed. I use this track to evaluate the reproduction of female vocals. The HD650 had a definitely smoother and more natural sounding presentation, and it was also more detailed in that part of the spectrum. This track was used to evaluate high frequency performance. The HD497 seemed to be more detailed without being etched for the most part; but there were a few sharp spots that were noticable, especially in comparison to the HD650. The HD650 in comparison did not have any of occasional harshness of the HD497, but it had a much 'darker' sound that was not winning it any accolades in my books either. This track was used to evaluate male vocals. I definitely preferred the HD497 here; with it's open and airy sound compared to the 'dark' sound I had by now come to expect of the HD650. In marathons it is often said "everyone is a winner", even if they manage to do no more than just finish the race. I generally agree with that statement when it applies to something as challenging as a marathon. But I am also open to the concept of a race where no one is a winner, and that is what I conclude here. The Grado RS1 is way too sharp in the higher frequencies to be tolerable. It is quite enjoyable (even outstanding) in the mid and lower regions, but that does not compensate for what I consider to be it's fatal flaw. The Beyerdynamic DT990 does nothing wrong, which considering the present company seems to be quite a compliment. It also failed to keep up with the Sennheiser HD650 in some areas. I cannot accept it as my reference either. The Sennheiser HD497 was a bit harsh in very occasional spots and was generally lesser in all areas but one, when compared to it's better made cousin the HD650. But these results are not surprising when you see the difference in price. I am also relieved that I did buy the HD497 many years ago, because it does stand up better than I had expected to the H650 and even betters it in one test. And finally, we have the Sennheiser HD650 which performed better than all the other units overall, with some glaring exceptions. Add to that it's 'dark' sound and plodding transients in the lower ranges, and I fail to be able to award this contender a first place medal. 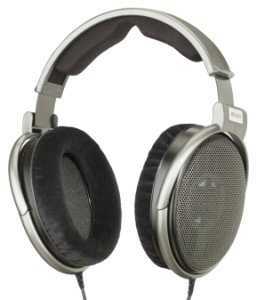 That leaves me without a satisfying reference headphone, I suppose I'll continue to use the Sennheiser HD497 for now. I cannot justify spending the additional money for any of the other units, given their respective performances as noted above. Several folks have suggested I try a Stax; but they require their own somewhat bulky amplifiers which elimantes them from being portable, and thus are not part of my consideration. 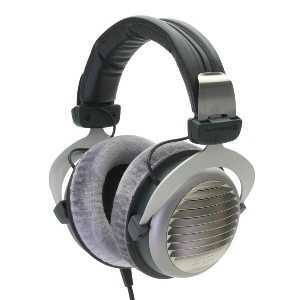 There is the well spoken of AKG 701, that I am due to receive a sample of. I hope to have the Sennheiser HD650 on hand to do a direct comparison with...stay tuned.